A massive and “potentially hazardous asteroid” that brushed past Earth on December 16 - just over a week before Christmas, features a mysterious dark void at its center, according to scientists. The approximately 3.6-mile-wide space rock, called 3200 Phaethon, whizzed past our planet at a distance of 6.4 million miles – close enough for NASA to snap high-resolution images of its core. 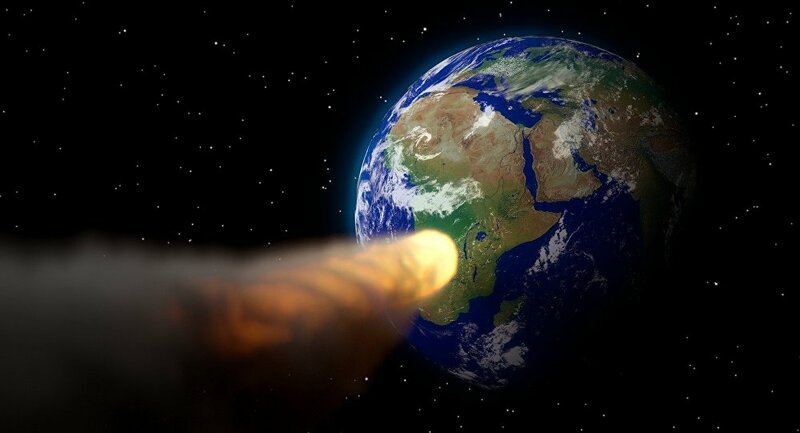 Much to everyone’s surprise, radar images obtained during the brief “photo op” revealed that the asteroid, half the size of Chicxulub, the rock that wiped out the dinosaurs 65 million years back, is completely empty on the inside. The tennis ball-shaped Phaethon, named after the Greek demi-god who, according to legend, almost set the Earth on fire, “has a large concavity, or depression, at least several hundred meters in extent near its equator, and a conspicuous dark, circular feature near one of the poles,” the Daily Star wrote, quoting NASA experts. Even though for now, Phaethon is a friendly visitor, there’s no telling what problems it could cause in the year 2093 when, according to NASA, it will swoop back and come within just 1.8 million miles of Earth. A video of Phaethon’s path published by the Immanuel Kant Baltic Federal University in Kaliningrad earlier this month shows that the asteroid's uncommon orbit will see it pass closer to the sun than any other named asteroid.